Shelf Actualization: The Good Earth: Found! Our post from the other day about Cojimar got me thinking about the setting of another book I just finished: Pearl Buck’s The Good Earth . Spend five minutes with your favorite search engine and you can learn all sorts of things about that book- that it led the bestsellers lists for 21 months, that it nabbed a Pulitzer Prize, and that it was the basis of Buck’s Nobel Prize just a few years later. But if you want to know where the book actually takes place, well, that’s a little tougher to come by. Now, as maps go, this one’s pretty crappy. Everything to the right of that right-most squiggle is actually ocean, so you’ll have to use your mind’s eye to paint it blue. And the coastline won't match what you see on any decent globe. There’s also no sense of scale except for the relative scale between cities- cities that are, again, somewhat difficult to find on a modern map with modern place names. But Shanghai is still Shanghai, so we can start our search pretty confidently from there. 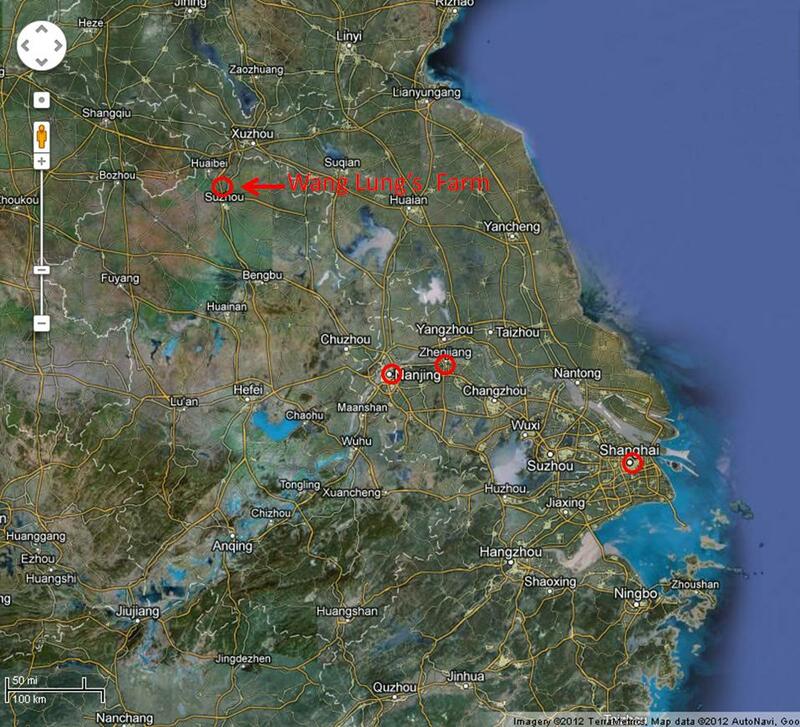 The Oprah Book Club (OBC) city of Chinkiang is most likely the Google Maps (GM) city of Zhenjiang. And the OBC city of Nanking is almost certainly the GM city of Nanjing. It would appear, then, that the OBC map’s ordinal directions are also pretty skewed, since in the real world Nanking/Nanjing is northwest from Shanghai, and not due west as shown in the OBC map. But okay, they tried. 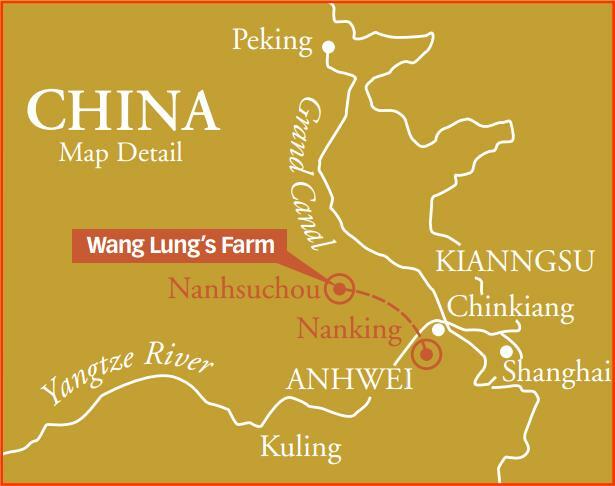 During the first great famine Wang Lung travels southward 100 miles by train to the great cities of the South. What cities would fit this description and distance any better than the great cities on the banks of the Yangtze River: Nanjing, Zhenjiang and Shanghai? I'm currently reading a 1994 edition of the book and the map used by the OBC is at the front of this book and covers a larger area. Thank you so much for researching this. It is fascinating and now on pg 110 of the 6th printing 1931 of this engrossing novel you have given me a map to set the story in my imagination. Again, thank you!